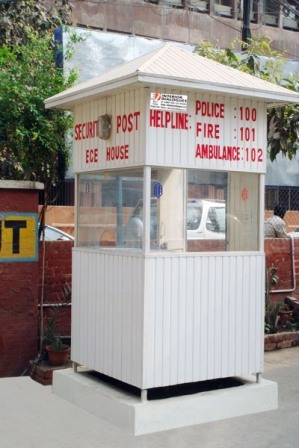 Interior Dialogues manufacture and supply PVC Guard Cabins that are durable and portable. Our guard cabins provide security and shelter from ghastly climate. Most preeminence equipment is worn. PVC guard cabins are extremely long-lasting and offer superior performance. Company offers these cabins in a variety of shapes and sizes. We also modify our cabins on the approach to meet the requirements and specifications of the clients.